On such a frosty morning it seems quite strange to be thinking ahead to spring, slightly warmer weather, longer days and a little sunshine…but I have tickets to give away for the Spring Knitting and Stitching Show at Olympia and fingers crossed we will not be snowed in this year! To get you in the stitching mood we are also offering a pair of mini beadwork kits. 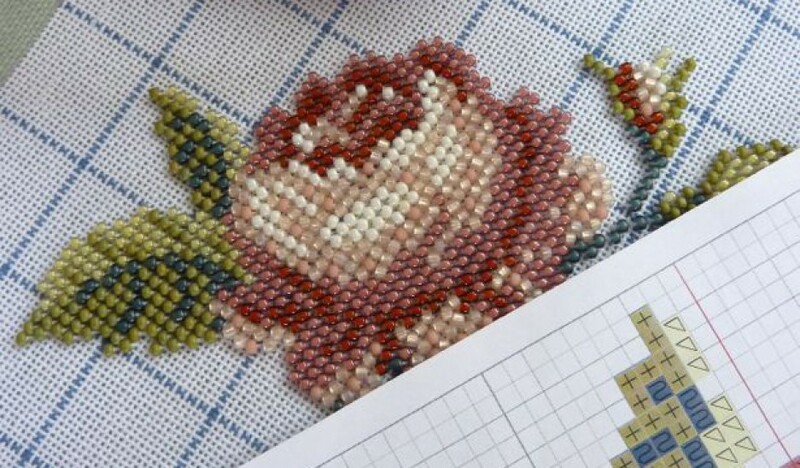 Alternatively, you may like a chunky cross stitch, a beaded parrot or woodpecker or a more traditional cross stitch or biscornu. The tickets are valid for use on Thursday 28th February, Friday 1st or Sunday 3rd March 2019. It should be a fantastic day out, plenty of inspiration and a great opportunity to stock up on projects, haberdashery, fabrics and yarn for the coming year. If you are visiting give us a wave at C44 and best of luck! Can’t wait for the exhibition – so love stitching your kits. See you there!